The International Information Technology Exhibition dte (Digital Technology Expo) — Comdex Greece 2005 — will be hosting for the first time an Honored and Showcase Country and will be showcasing 20 companies from Korea. Comdex Greece 2005 is sated for Nov. 18-20, 2005 at Expo Athens Exhibition Center, Athens, Greece. In cooperation with KOTRA (Korea Trade-Investment Promotion Agency) Premier Events Group invites the largest Digital Technology Companies to participate in this world-class exhibition to highlight and introduce new products and services to the Greek and Balkan market. 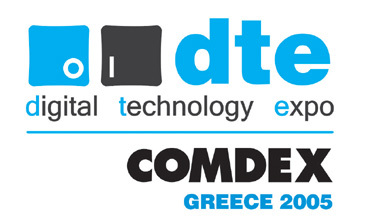 The concept of the Honored & Showcase Country begins with this year's event dte (Digital Technology Expo) — Comdex Greece 2005. Premier Event Group is honoured to have Korea as the first of what indicates to be the start of an important event at the exhibition. The selection of Korea came after an extensive review of emerging technologies and countries that are investing in research & development in addition to quality and variety of products. Scores of Korean companies will be showcasing these technologies to the Greek public for the first time and in addition to already existing products. 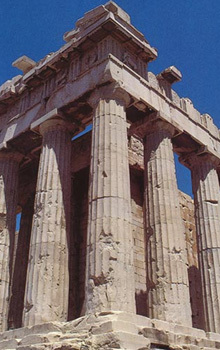 The national participation of Korea will be supplemented with Cultural Events, in addition to national foods and musical entertainment on the inauguration day of dte (Digital Technology Expo) — Comdex Greece 2005. Additionally, a special track will kick off the dte-COMDEX Greece Conference Program with the title "The Miracle of Korea" with speakers from the Korean and Greek political and business community with their input and experience on why Korea is now a major player in the Information & Telecommunication Stage. In addition to Korea, dte (Digital Technology Expo)-Comdex Greece 2005 will host companies from Cyprus and the Untied States, with participating exhibitors from Poland, France, Israel, Turkey, and the Czech Republic.